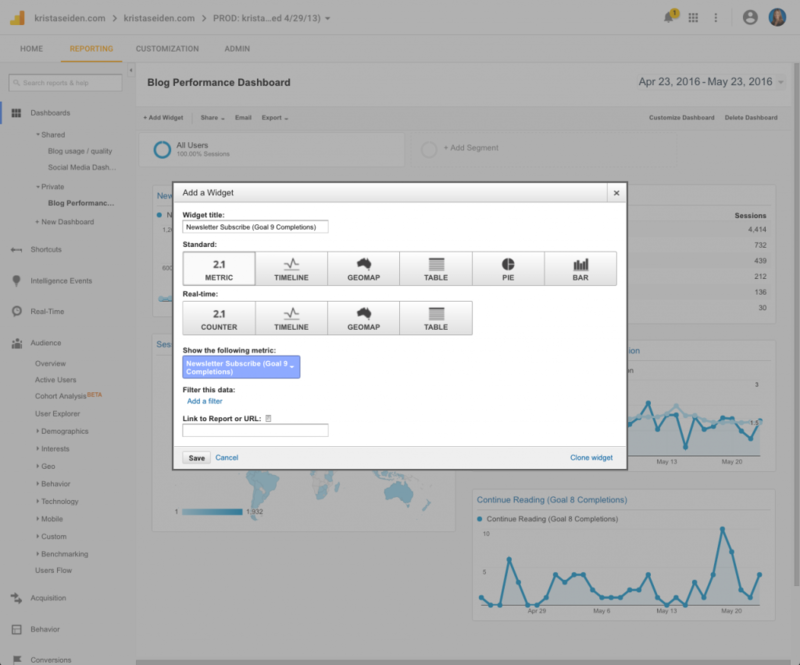 Digital Debrief – New Default Position for Widgets Added to a GA Dashboards! Some time ago, a few analyst friends tweeted about wishing new widgets in Google Analytics dashboards could be added to the bottom by default rather than the top. As an analyst who has made and maintained MANY GA dashboards, I couldn’t agree more. By adding the widget to the top, the analyst is forced to immediately re-organize their dashboard widgets as they likely already had a particular setup they liked and the new widget disrupts that. Adding it to the bottom of the dashboard instead allows for easier customization and less user frustration. <— this was the justification I used when I submitted this feature request/change. 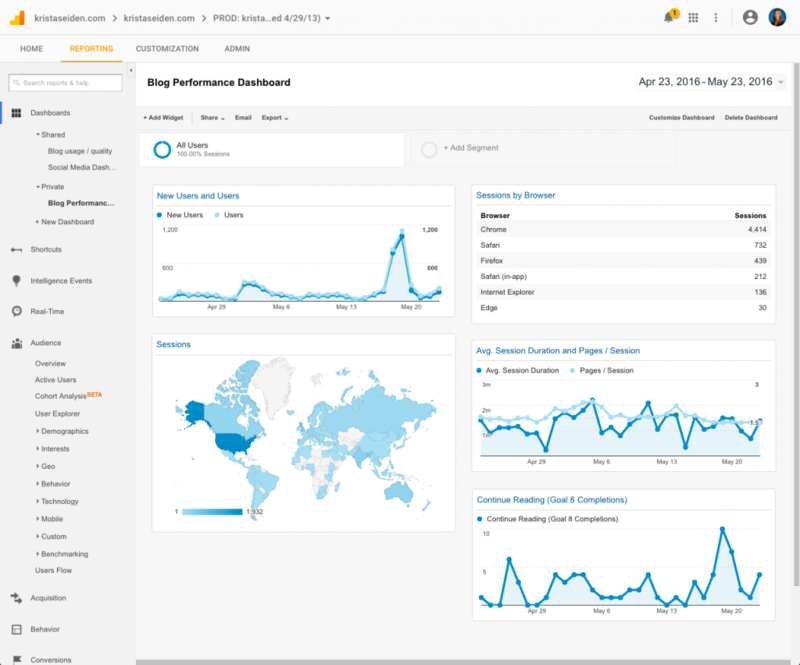 Well, I’m SO excited to report that after a short wait (ok, a decent wait, but hey, we were busy building the Google Analytics 360 Suite), new widgets added to GA dashboards are now added to the bottom by default! Hooray! Thanks Nancy Koons & Michele Kiss for the inspiration! Here is my ‘Blog Performance Dashboard’. I’d like to add a new widget to look at Goal 9 Completions for Newsletter Signups. Go ahead and try this now in your own GA accounts, it’s rolling out today! Thanks Krista! This really will help the user experience when building dashboards in GA.